The best-selling Fiat in Europe, and the fifth most popular Fiat in the planet (after the Uno, 500, Punto, and Palio). The new Panda arrived in late 2011 and since then has had to face Europe’s worst crisis in decades, with negative (or not as positive as wanted) consequences. Its first full year in the market could be defined as good but bad. It was good as this city car’s registrations didn’t fall as overall market in many of the European countries where it is available. The Panda is still the best-selling city car in Europe, even though it is now more expensive than previous generation, as it is no longer built in Poland. The bad thing is that its first year in the market wasn’t as spectacular as it should had been. After years reaching good numbers with the second generation, the latest Panda seems to lose some share in many markets, as its average price is a bit higher and competition in the segment gets tough. 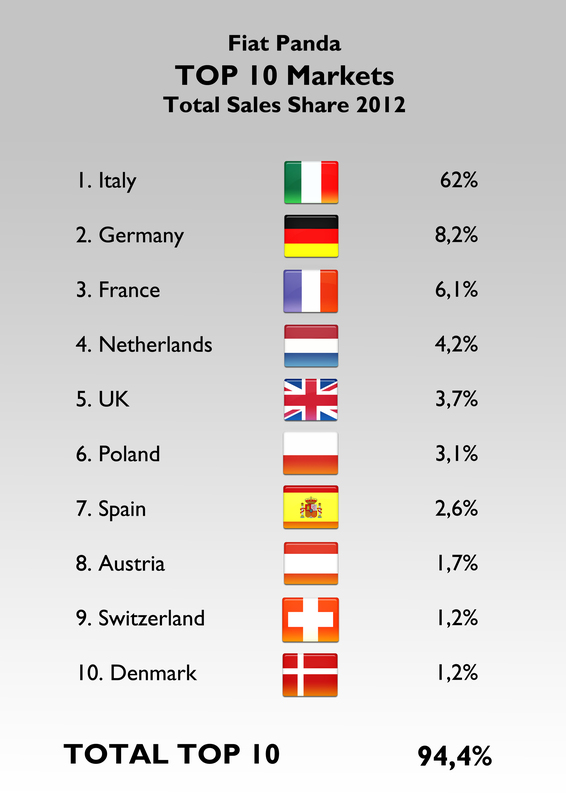 Sales remained stable in 2012 thanks to the new generation and Italy. It is a key product for the health of Fiat group in Europe. Source: see at the bottom of this post. Italy is still a big market for the Panda. It is mostly sold in Europe. Source: see at the bottom of this post. In fact, the arrival of the Up!/Mii/Citigo 5-doors had a big effect on the sales of this Fiat. The Panda had problems in Northern and Central Europe, while the VW Up! hit the market. Registrations fell in France as well, but as a consequence of the crisis, because the VW is not popular over there. This car controls about half of A-Segment sales in Italy, and 34% in Poland. 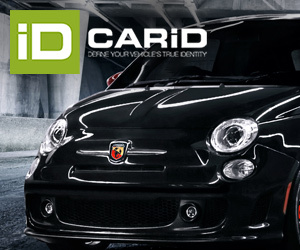 At this point it is important to mention that last year’s sales include the 2nd and 3rd generations, following the decision of Fiat of keeping both models available till December 2012. The second generation was built at Tychy plant, in Poland, while the new one is made in Pomigliano, Italy. The big share in Polish A-Segment is explained mostly by the second generation success. Anyway both models had also interesting advances in Denmark, Spain, and Switzerland. Italian performance wasn’t bad considering the big crisis over there. The new generation helped the model to increase its sales in some European markets, no matter the arrival of the VW Up! Both generations allowed Fiat to control a big part of A-Segment sales in Italy, Poland, and Turkey (where city cars are extremely unpopular). Unlike in Italy, registrations in France, Germany and UK have to deal with many local competitors. Source: see at the bottom of this post. 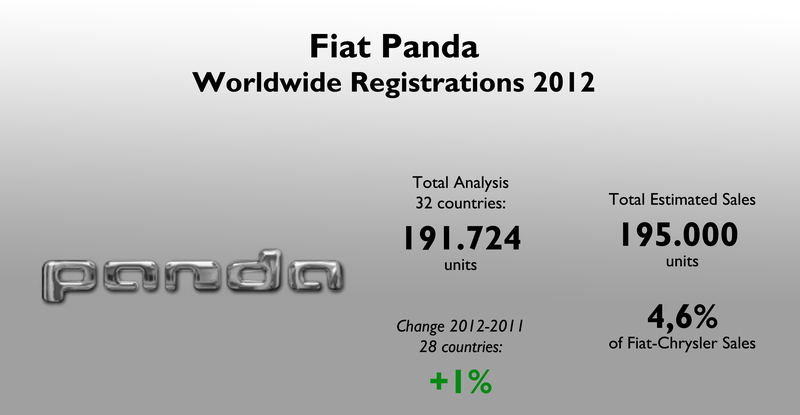 The Panda is a very important product for Fiat brand and for the group’s presence in A-Segment. Source: Fiat Group’s World data basis, Best Selling Cars Blog, Carsitaly.net, Data House. Many thanks to Róbert Gábor and Robert Breton. 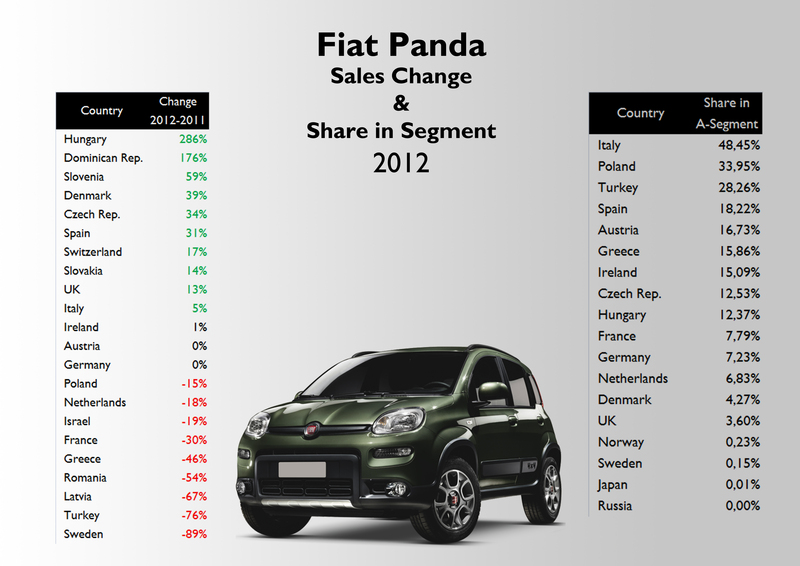 In case of Poland sales numbers in 2012 shows new and old version of Panda. 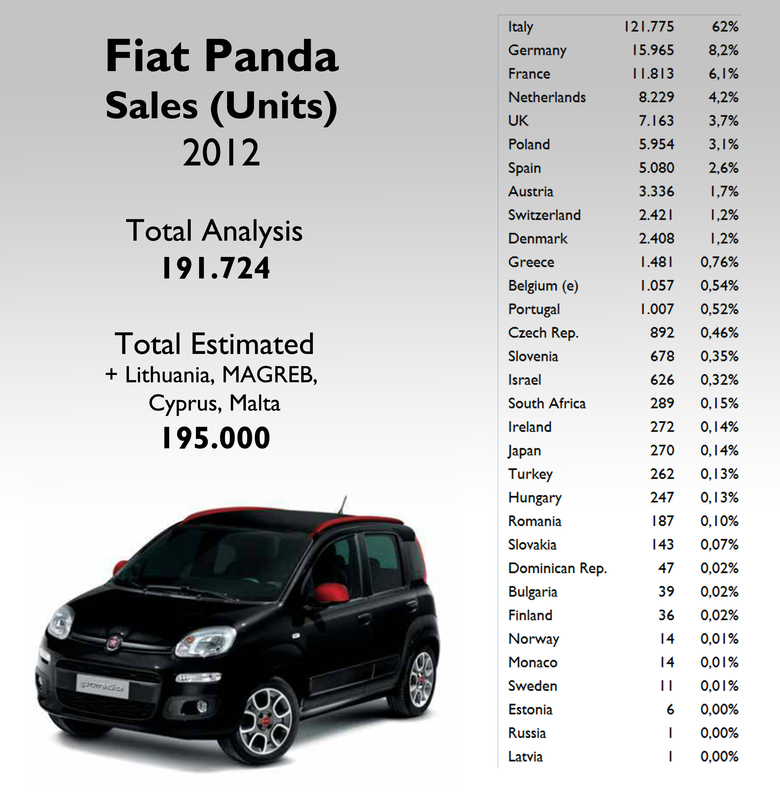 In this year in Poland Panda sales decreased by 50% (1H2013). Fiat for many year was the leader on Polish market. Now is out of top 10 and the best selling model PUNTO decreased by 33%. In TOP 50 Fiat has only 2 models Punto – 26 position and Panda 35 position. I know, it’s a disaster. I agree. More or less the same for Fiat in the Netherlands, where the demand of city cars is high as well.